Major League Baseball Hall of Famer and Southern High grad Al Kaline, who played his entire career with the Detroit Tigers, is among 57 former players of the famed Leone’s/Johnny’s/Corrigan’s (LJC) amateur baseball team, based in Baltimore, to reach the Major Leagues. All 57 will be immortalized through the dedication of a monument in their honor at Baltimore’s Swann Park. 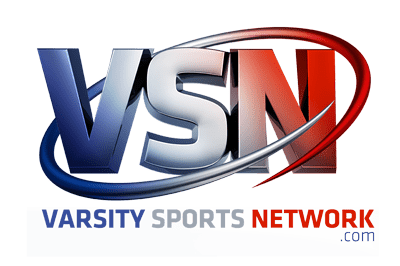 Kaline, who was in Baltimore earlier this month when the Tigers played the Baltimore Orioles, sat down with VSN, at Orioles Park at Camden Yards, for an exclusive interview. The interview of Kaline, as well as one conducted with long time coach Bernie Walter, were the first of a series of interviews being produced for a possible documentary about the Leone’s/Johnny’s/Corrigan’s dynasty. Kaline signed with the Tigers right out of Southern High in June of 1953 after hitting .470 as a junior and .488 as a senior. Two years later, at the age of 20, he became the youngest major league baseball player to win a batting title when he hit .340 with 200 hits, 27 home runs, and 102 RBI’s. On April 17 of that year he hit two home runs in one inning at Briggs Stadium in Detroit, and he finished with three round-trippers on the day with four hits and six RBI. He was an American League All-Star 18 times. He won 10 Gold Gloves, and finished his 22 year career with the Tigers with 399 home runs, 3,007 hits, 1,583 RBI’s, and a .297 batting average. When asked as to why he didn’t hang around to hit home run number 400, Kaline said that three of his home runs during his career we’re rained out, so in effect, the star right-fielder, who grew up in Westport in Baltimore, actually hit 402 balls out of the park, but only 399 were official. He once set a major league record for playing in 242 consecutive error-less games. Kaline led the Tigers to a four games to three World Series victory over the St Louis Cardinals in 1968 when he was 11-for-29 with two doubles and two home runs and a .379 batting average in the seven game series. On hand the day of his induction were Bob Feller, Whitey Ford, Ralph Kiner, Sandy Koufax, Stan Musial, Ted Williams and Warren Spahn. 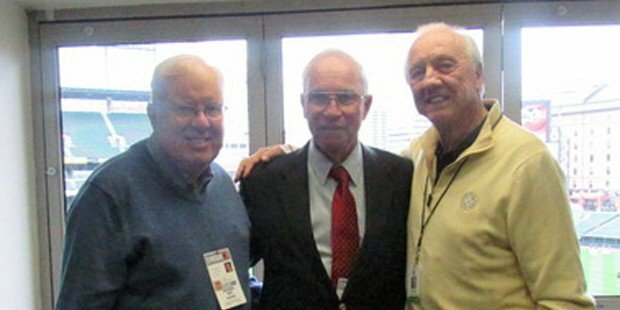 Kaline was awarded the Vern Seefeldt Lifetime Achievement Award by Michigan Governor Rick Snider two weeks ago at Cobo Hall in Detroit. The award recognizes high achievement in Health, Medicine, and Sports. Kaline said that when he was signed out of Southern High there were actually two other teams that offered him more money, but his dad told him to sign with the Tigers because he would have a chance to play right away for them. His dad was right. Kaline was the starting right fielder for the American League All-Star team in 1955, playing along-side of Mickey Mantle in center and Ted Williams in left. The stacked National League team that won that game in Milwaukee County Stadium, 6-5, included Willie Mays, Hank Aaron, Stan Musial, Ernie Banks, Eddie Mathews and Duke Snider. Kaline played in the 1958 All-Star Game in Baltimore’s Memorial Stadium. Moreover, he got the 3,000th hit of his career in Baltimore against the Orioles Dave McNally when he doubled in the fourth inning of a game against the Birds on September 24, 1974. It was fitting that a home-grown star would achieve such an accomplishment before a home town crowd. When the Gold Glove award was established, he won the overall (both leagues combined) award. “I was really honored to receive that distinction with Willie Mays. Kaline was a Tiger broadcaster for 26 years after he retired as a player, and he has been a special assistant to the owner and the team General Manager since 2002. His grandson Colin, currently is co-head coach at Oakland University in Michigan. Colin was drafted by the Tigers in 2011, but things just didn’t pan out in the minors. Coach Bernie Walter was the head coach of Leone’s/Johnny’s/Corrigan’s for 14 years and numerous players made it to the big leagues under his tutelage. He won 1,029 games and lost only 148 in his 14 year tenure. Bernie won 10 Maryland State championships at Arundel High School, a state record where he was 609 and 185. He still holds the state record for most wins by a public school coach and is second only to Riverdale Baptist’s Terry Terrill for must wins in Maryland high school baseball. Terrill has 1,008. Game, which is now the Brooks Robinson All-Star Game, which for years has been a big event that allows the area to show-case the best high school players in the state. Walter also won six national titles with LJC, and 14 consecutive City championships. He was a shortstop for Leone’s in the 50’s, and he also played short at the University of Maryland, where he later served as Director of Baseball Operations. Walter worked closely with Walter Youse, the patriarch of Leone’s, who had him working with pitchers when he started out. He also formed the committee that is working to honor the former LJC players. Pictured above: Bernie Walter, Joe DiBlasi and Al Kaline at Oriole Park at Camden Yards.